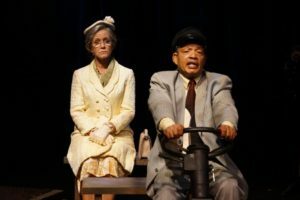 Alfred Uhry’s Driving Miss Daisy won him the Pulitzer Prize in 1988 during its nearly 1,200 performance run off-Broadway. Uhry won an Oscar for adapting his play to the movie screen in 1989. 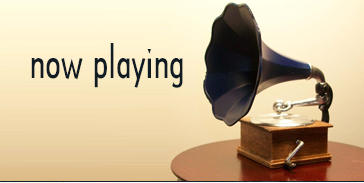 The film was named Best Picture and also won an Oscar for actress Jessica Tandy. The play is comprised of nearly two dozen scenes chronicling the budding friendship of Miss Daisy, a wealthy and crotchety Jewish widow in Atlanta, and Hoke, the black man her son Boolie hires to be her chauffer after she demolishes her new car backing out of her driveway. The action begins in 1948 when Daisy is 72 and Hoke is 60 and follows them over the course of the next 25 years. The National Tour starring Julie Harris and Brock Peters played Hollywood’s Henry Fonda Theatre in 1989 and Michael Learned starred in a production in La Mirada in 2008. 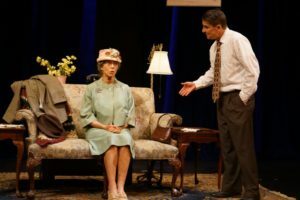 The show was most recently mounted in Sierra Madre in 2013 and now The Colony Theatre in Burbank is presenting TV star Donna Mills in the title role. It is a heart-warming, humorous and affecting 90 minutes but that is mostly difficult to ascertain in its current incarnation. It sounded like most of the opening night audience was reacting to the words they were hearing (probably for the first time) rather than any emotional effect generated by the actors saying the words. It’s most like dinner theatre without the dinner. Get a famous name from film or TV and build a production around them. It’s not that it’s bad and it’s not that it’s good; it just is. Director Heather Provost served mostly as a traffic cop moving her actors through Genetra Tull’s bare bones scenic design. Miss Mills is a glamorous addition to The Colony stage and she does better with her humorous line readings than the dramatic ones. There is not much variation in her performance over the course of the play; she only seems to age in the final two scenes and conveys this by speaking and walking slower. Arthur Richardson as Hoke and James Leo Ryan as Boolie fare a little better with their characterizations. Jean Lomasto designed the period costumes. Donny Jackson’s lighting design was well executed, really giving the sense of a car traveling. A projection giving the timing of each scene would have really been helpful to the audience who most of the time did not realize years had been skipped from scene to scene. The song choices used during the scene blackouts didn’t seem to convey the elapsed time very effectively. The Colony Theatre, 555 N. Third St. in Burbank. Ends Dec. 10. www.colonytheatre.org.